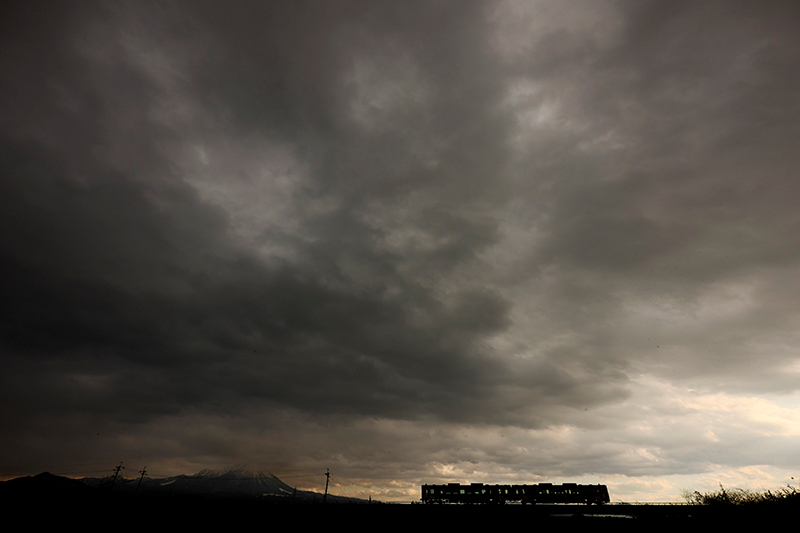 The silhouette of a running train looked like that of a lonely traveler. An interval of clear weather which was valuable in Japanese sea in Winter. I could met a lot of nice scenery.